MACON, Ill. – Central Illinois has always been known for its talented late model drivers, and the 2014 racing season is no different. When the dirt settled after the final event in the 10-race Midwest Big Ten Series for late models, Ryan Little and Brian Diveley have been declared co-champs. Both drivers finished with 436 points and two wins in the series. Little, of Pleasant Plains, and Diveley, of Springfield, will each receive a championship trophy. The top eight finishes among the 10 races were used to determine a drivers’ final points standing. While Diveley and Little were tied in the standings following the finals race this season last Friday at Lincoln Speedway, Little and Diveley also tied with two wins apiece. Little twice took the checkered flag at Macon Speedway with Diveley grabbing victories at Macon Speedway and Jacksonville Speedway. Greg Kimmons, of Pleasant Plains, finished third in the series standings while John Beck, of Springfield, was fourth. Matt Taylor, of Springfield, placed fifth in the points. The championship battle worked its way through four races at Macon Speedway, the fifth-mile high banked oval, with two events apiece at quarter-mile tracks at Lincoln Speedway, Jacksonville Speedway and Quincy Raceways. 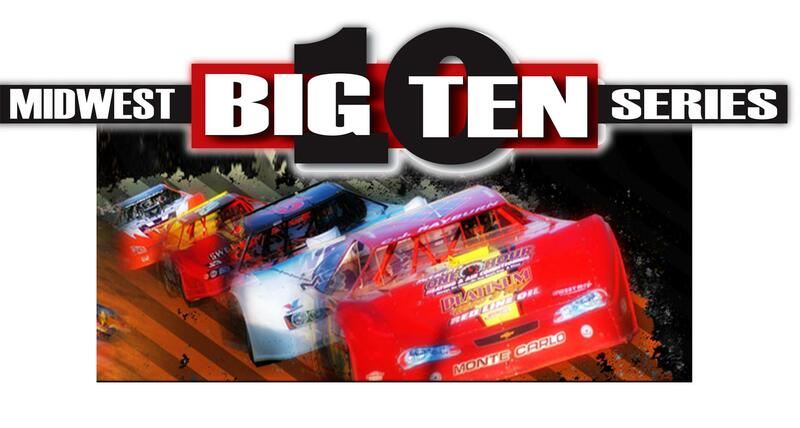 Other drivers to score Big Ten Series late model wins were defending series champ Steve Sheppard Jr., Bobby Pierce (two wins), Kyle Logue, Scott Schmitt and Rich Bell.